Multiple elements factor into how effectively an enterprise can embrace automation and advance the maturity of their transformation. However, security tools are central to enabling a structured and measured approach to managing critical access risks at each stage of the maturity model journey. 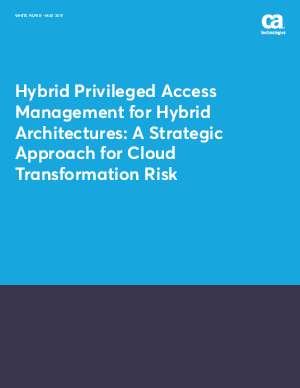 With the right privileged access platform and set of tools, enterprises can progressively automate and scale access management to align risk mitigation with business needs.